Every ten years, the US census is used to appropriate political representation and $600 billion in federal funding according to the shifting population numbers. 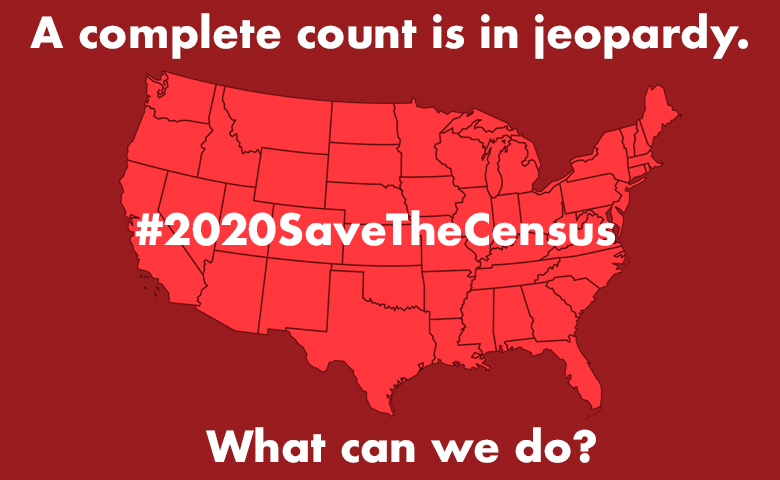 With the 2020 Census two years away, ensuring a complete count is as important as ever. The addition of a citizenship question puts that complete count in jeopardy. The question is designed to deter immigrant communities from participating in the census survey as it will identify them to immigration authorities such as ICE. In addition to the citizenship question, the 2020 Census will be the first to feature a digital survey which adds another hurdle to an already difficult process. At the moment, several states and cities are pursuing lawsuits against the Department of Commerce for adding the citizenship question to the 2020 census. The federal court judge has allowed the case to move forward citing that “[Commerce Secretary Wilbur Ross’] decision to reinstate the citizenship question was motivated at least in part by discriminatory animus and will result in a discriminatory effect.” Not only that, but internal documents revealed that the Census Bureau did not approve the question and the question was added by request from the Trump Administration and not from the Department of Justice as originally stated by Commerce Secretary Wilbur Ross. You can leverage your voice to make a difference. Make public comment today to let the Federal government know the mistake they are making with the citizenship question. The census has historically served as a political tool to shift political representation and resources toward the right. In the past, the census undercounted communities of color to shift representation, resources toward whiter, rural communities. For example in 1970, African Americans were undercounted by 7.7% in comparison to 1.9% of whites. Chinese for Affirmative Action has historically played an active advocacy and community outreach role to make the census work for our communities locally and in the state. This May, we were able to win $96 million in California’s state budget to fund language accessible census outreach throughout the state. Through the Yes We Count Coalition(a 13-partner multiracial, multiethnic and multilingual coalition) our grassroots door-knocking and phone banking dramatically impacted the results of 2010 Census in San Francisco. Through partnering with the Office of Civic Engagement and Immigrant Affairs, San Francisco is the only city and county that did not suffer a decrease in the hard to count populations Those valuable lessons learned will propel our upcoming efforts in 2020.